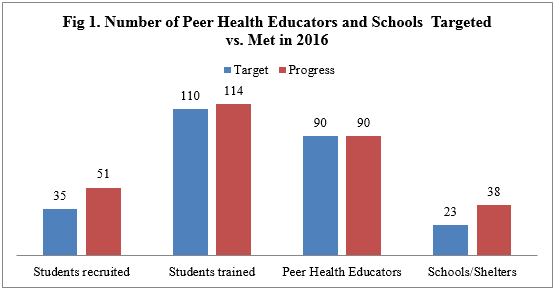 Healthy Initiatives through Peer Education (HIPE) exceeded targets set for 2016 and while the regular health education sessions in schools continue to be important, more children and youths are being reached through the community-based health prevention and promotion program. 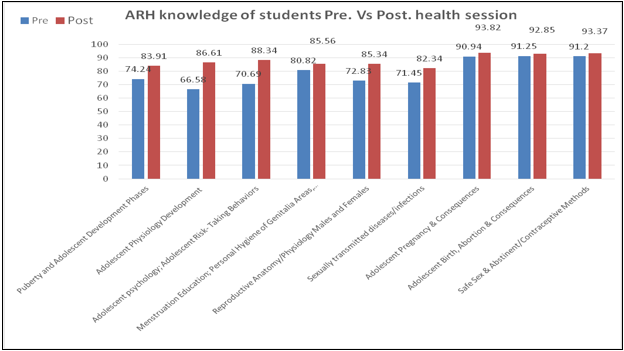 Since the inception of HIPE in 2010, we have increasingly been training more youths to become Peer Health Educators who have led more health education in many more schools and shelters. 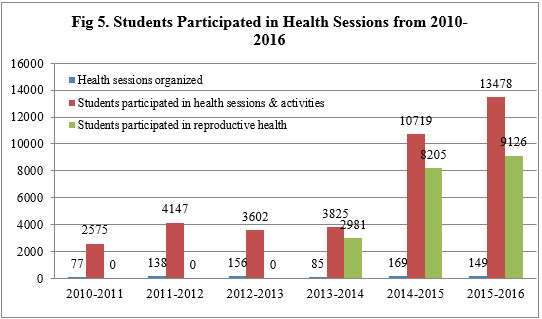 Over the years, we have trained 357 students and qualified 293 to become Peer Health Educators who have actively participated in health education and promotional programmatic activities in schools and communities. We have been measuring knowledge, attitude, and behavioral change whenever possible. 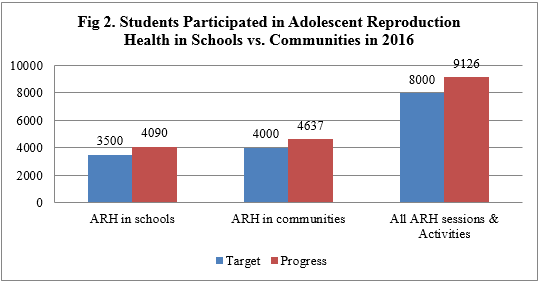 We have experienced knowledge change most significantly when HIPE school-based health education program is new to a school. 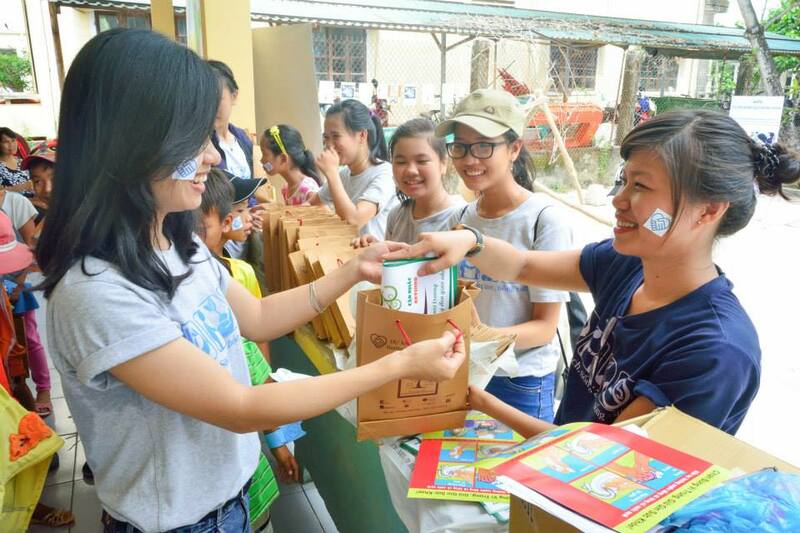 As our health education program reaching more students over the years, the knowledge gain is less significant but attitude and behavioral changes begin to take root and act upon through our community activities. 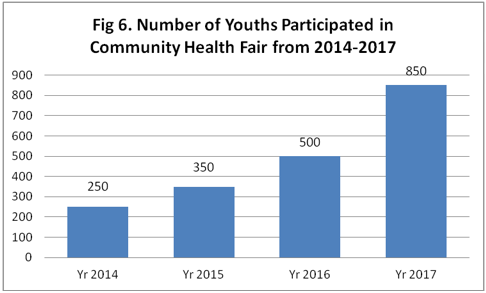 The key feature of the community-based health prevention and promotion program is the community health fair to allow for HIPE youths with elevated leadership responsibilities to lead and organize health-focus events to engage other youths, community organizations and members, and businesses. The contrast of 12 PHEs in 2010 vs. 90 PHEs in 2016 is significant and likewise their abilities and commitment to educate 2,575 then vs. 13,478 students in 2016 depend heavily on the financial and resources commitment from many! Join The VA NGO Network! 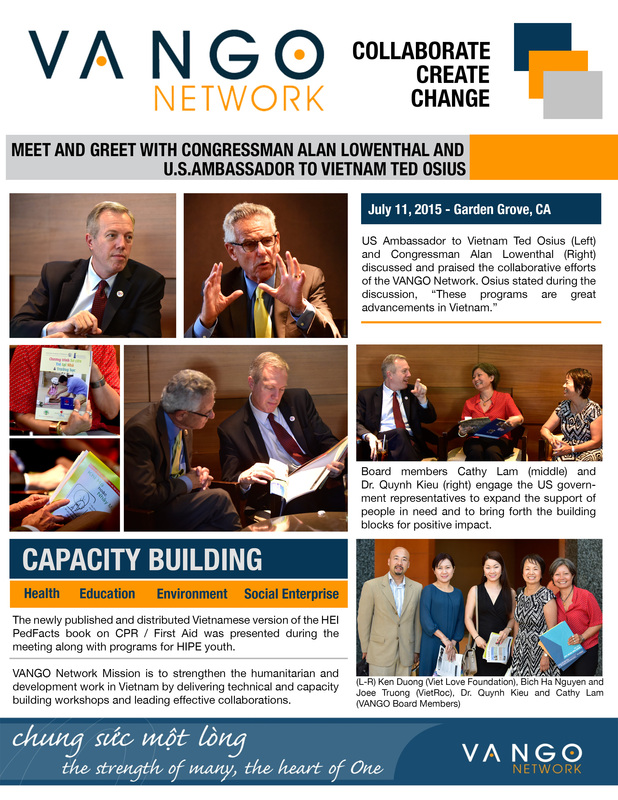 Together we can support your needs and build capacity for Viet Nam. With membership, you will enjoy discounted and complimentary rate at all our events and functions. We continue to provide Capacity Building Workshops, HEI (Health Education Initiative), PedFACTS CPR/1st Aid Training and HIPE (Healthy Initiatives through Peer Education) engaging the youth to be Peer Health Educators. Our upcoming spring training will be in Hue, Vinh Long and Saigon, details to follow.